I am seriously looking forward to returning home. I am so hungry to cook more, and I am full of inspiration and baking ouvre that I really need to get back in the kitchen. It doesn’t help that I spend every procrastinating moment on Pinterest. In the meantime, however, perhaps you would like to see some of my Sweet Experiments that I will be attempting and sharing with you? 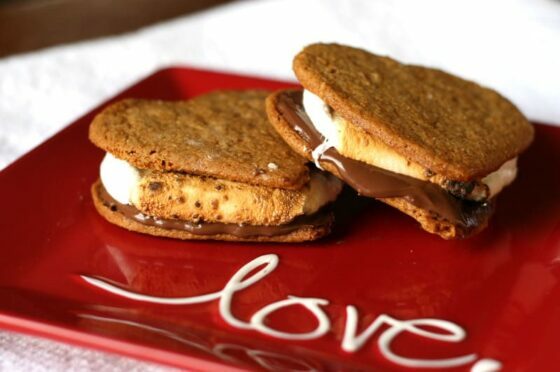 Everywhere online is this “S’mores” craze, and clearly they look delicious, but just about every recipe calls for Graham Crackers, and you just don’t get those in South Africa. I’m going to give them a go, just to see what they’re like, but I do like to make my melty-marshmallow sandwiches with our local Marie Biscuit, which is absolutely fabulous, crumbly and buttery, even though it’s a fairly plain biscuit. I am very keen to hop on this “Slutty Brownie” bandwagon as well. One of the most exciting things about going home for this holiday, is that I have a whole lot of family coming from around the world, so I won’t eat all the food by myself, which is a comfort to my skinny jeans which have already taken strain lately. My gran makes fantastic banana bread. Hopefully she will share this recipe with me when she visits. I literally eat banana bread by the loaf in a day. I want to caramel. I have a stunning jar of the stuff back at home, but making it from scratch just seems… I would say healthier, but that doesn’t make a lot of sense, as it is caramel after all. Salted caramel seems rather trendy as well, so, here’s to broadening the horizons (even though it sounds completely NOT how caramel is supposed to be enjoyed). Macarons are the coolest things ever. I have found they are really difficult to describe to other people though, so I want to try and make them. I found a recipe for a locally-inspired Milk Tart Macaron, which makes me go a-jelly inside, because it sounds so fantastic. I really want to go home now. I am bored of writing exams (yes, I know I’ve only written one, but still…). I just want to get back into my kitchen, make delicious breakfasts and dinners for myself and my family, and bake for them all day. This holiday is going to be wonderful, and I am impatiently counting the days until I get to start enjoying it.